St. Croix (STX) Carnival Recap! We recently had a chance to sit down with Soka Tribe member Thandi Masilela and get the full scoop on her experience in playing Mas in St Thomas in USVI. We've got the insights from Thandi on fetes, her band experience and more-and remember, you don't need a passport to play STX Mas! Are you a carnival virgin or veteran? I am a carnival veteran. I've been playing mas every year on St. Croix since I was 15 years old (11 years). Last year, I was able to play mas abroad for the first time with Saldenah Carnival in Toronto for Caribana. What was your favorite carnival & why? Not to be biased, but hands down St. Croix. I think I love it so much because it falls during the Christmas season, my birthday season, and I'm also from there; so I may be a little biased in fact lol. From the beginning of the month of December, the entire island is in carnival mode, but the official carnival committee events begin the last Saturday in December to the first Saturday in January. I think it's a great way to ring in the new year and end the old with a bang. Music, soca, calypso, family, friends, holiday cheer, and bacchanal. Doesn't get much better than that! Tell us more about Heroes Weekend- what is it, the must dos, fetes, etc? So ours isn't called Heroes weekend. It's actually Crucian Christmas Festival. ALL events are a must, but the main ones we look forward to are jouvert, parade, and what we refer to as jams. Jouvert is when we wake up at 4 am, dressed in our skimpiest, craziest, most insane outfits and dance down the road to local bands and DJs. It lasts all morning and ends on the beach. Once the official jouvert ends, there's an after party on the beach. Mind you, all events, drinks are highly encouraged. There are two parades; children's parade and adult's parade. Children's parade is always the day before adult's parade because goodness me, the adult's parade is a sight to see. The children's parade includes majorettes, steel pan, elementary school and local troupes, prince and princesses, moko jumbies, and a host of other cultural floats. The adult's parade is similar in that they also include majorettes, steel pan, moko jumbies, king and queen, and floats. The big difference here is one is PG and the other is rated M for mature. It typically begins around 11 and ends around six or seven at night. We all gather in the village, which is a large open area with a stage, rides, and vendors selling all local cuisine and beverages. Jams are what we call a party with a band. these events are usually very lengthy and energetic. We arrive around 12:30/1 pm and we don't leave until the sun is coming up; usually between 5 and 6 am. There is a party EVERY night and during the carnival season, a lot of local clubs host special nights to cater to the college students visiting, tourists, and locals alike. How easy was it to get around? Very easy for me being that I was born there. However, most events take place at the same 4-5 venues, so it's never too hard to find. Your costume is beautiful, who did you play mas with? How was the band's service delivery? Would you play with them again? Thank you! I played mas with Regal Dynasty Inc. This was my second time with them and I think they'll be my troupe from here on out. The band that played for them, Big Band also known as Stylee Band, began playing when we were in high school. I've loved them since. I usually join a troupe for the band, but the costume is always a plus. How many/ how big were the bands there? Did it feel more foreign or local? Too numerous to remember. Our carnival has been attracting an increasing number of foreigners, but for me, it still feels very local. Not too many people know about St. Croix, much less Crucian Christmas Festival. I wish they knew what they were missing! Without question. I never miss it. I like to think myself as a carnival queen. My goal is to go to all Caribbean carnivals because although I'm sure they're similar, they all offer their own variation and flair. Did you enjoy the variety of fetes? I definitely did. They had themed nights in the village, soca nights in the club, silent parties with live bands and DJs, jams, day parties on the beach, pop up jams, NYE basements, and the list goes on. I'm actually a little sad reminiscing on the events! EVERYONE COME! You don't need a passport to travel to St. Croix, we use the dollar, and we are soooo welcoming. We truly enjoy sharing our culture and heritage. 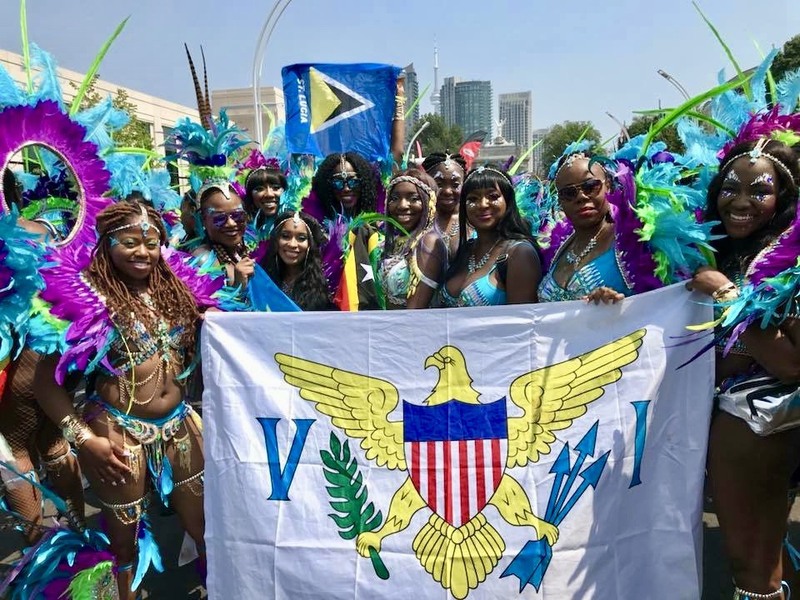 I get a little sad when I hear of another island in the Caribbean that is not familiar with the USVI because our way of life is so similar to theirs, they just have to experience it. St. Croix is a melting pot, so our carnival is a blend of ALL Caribbean cultures. Come and see for yourself!